Days stretch on and on while the years fly by. Which is how I have come to be a17 year old girl living in the body of a 35 year old woman who falls into bed exhausted at the end of every long day but has no idea how her babies have grown so quickly. 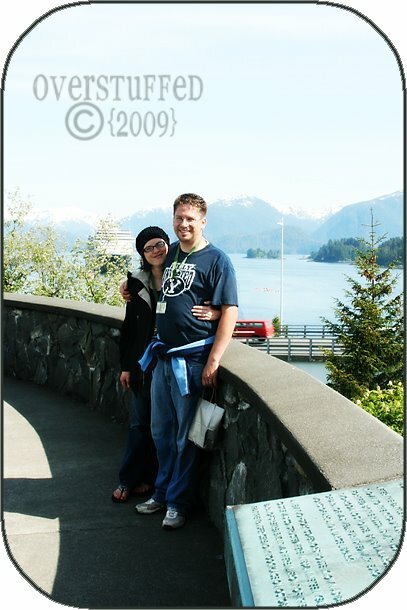 Joel and me in Sitka, Alaska with the ship in the background. One year ago we were on a cruise ship, visiting quaint Alaskan villages and gorging ourselves with food. We were packing up our lives, getting ready to bring them 2,000 miles away to a new job, a new home and an unknown life. We were saying our farewells, simultaneously glad to be moving on and sorry to go. 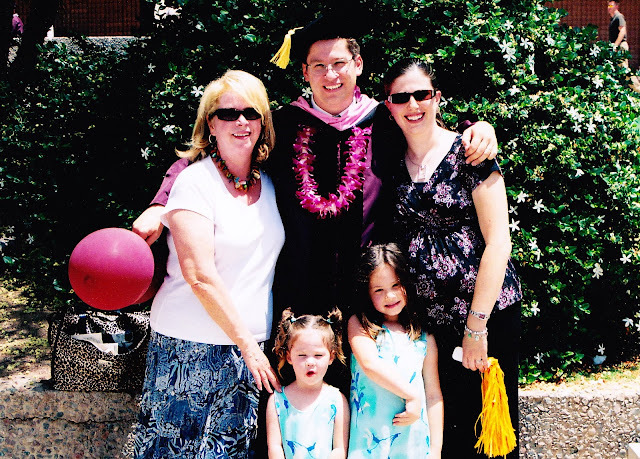 At Joel's big graduation: The Maestro, his mother, me, and the girls. Four years ago Joel had just graduated with his doctorate, a hard-earned triumph we thought would never come. I was expecting Sophia, at the tail end of my pregnancy. Finally feeling a little better and able to cope with packing up the house. I was packing the house on faith and faith only, because we did not know where we would be going until July, only that we would be going. 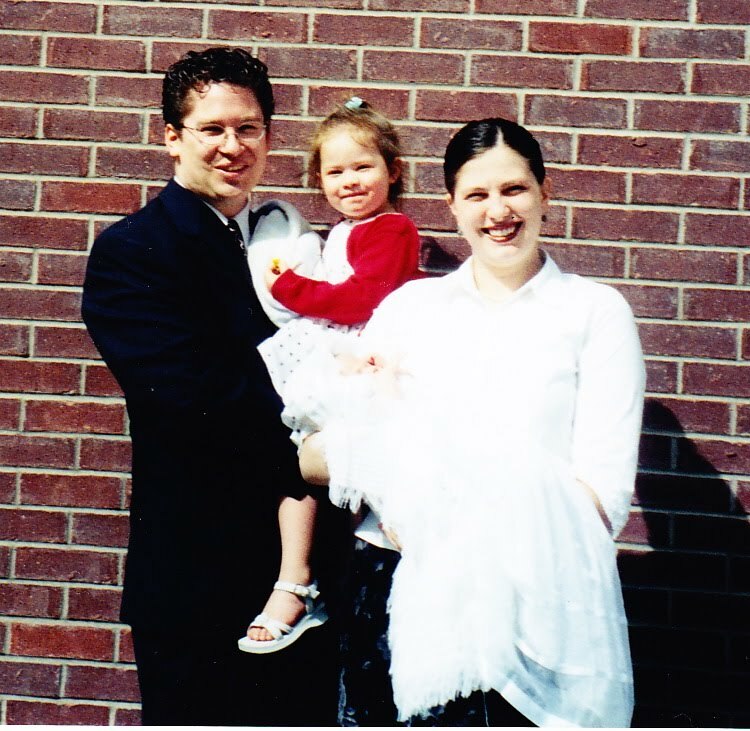 Chloe's blessing day, about a month before we moved to Arizona. Seven years ago, we were living with my parents for a month while we prepared to move to Arizona for grad school. I had just delivered Chloe, my second daughter, and was adjusting to life with two children. I was terrified to be moving so far away from my mother and the rest of my family. I was mostly worried about being able to find my way around such a big metropolitan area as Phoenix. At Sundance, celebrating our first anniversary. 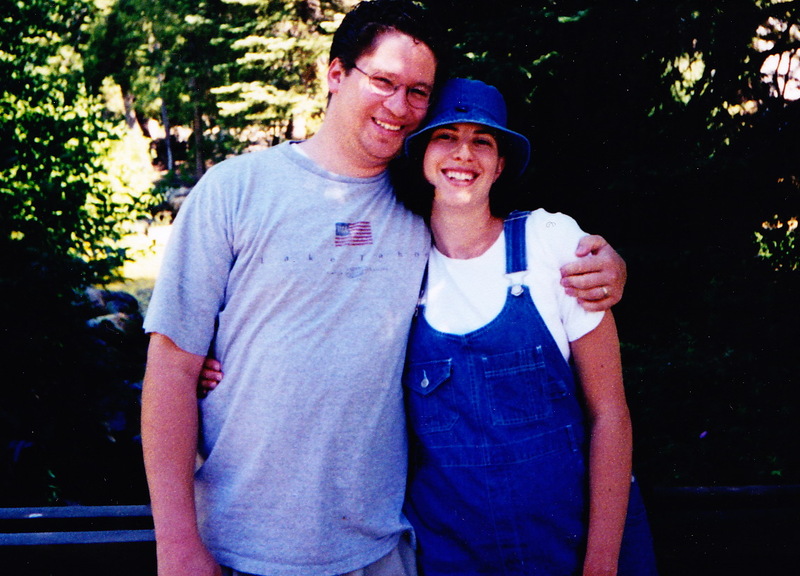 Ten years ago, my husband and I celebrated our first wedding anniversary. We had just purchased our first car together: A new-to-us Chevy Prizm that Joel researched for months before committing to purchase. I had just found out the baby I was carrying was a girl, and I thought life couldn't get any better. 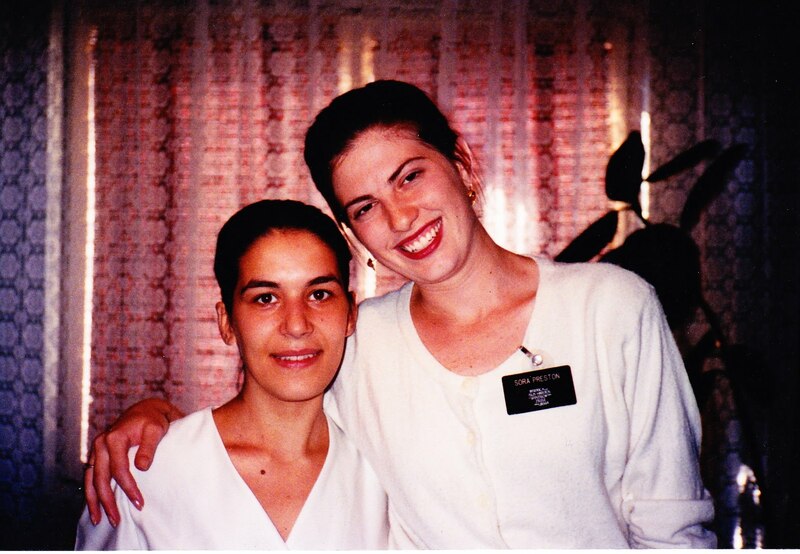 Me as a missionary in Romania, with a member there named Daniela. Thirteen years ago, I was somewhere in Brasov, Romania trudging down streets and alleys, looking for people to teach. I was near the end of my LDS mission, finally comfortable speaking a foreign language in a country that was not my own. I was happier than I'd ever been, working harder than I'd ever worked and eagerly looking forward to going home to continue school and life, to get married and have a family. All of the "Young Performing Missionaries" as we were called, in front of the Nauvoo Visitor's Center. 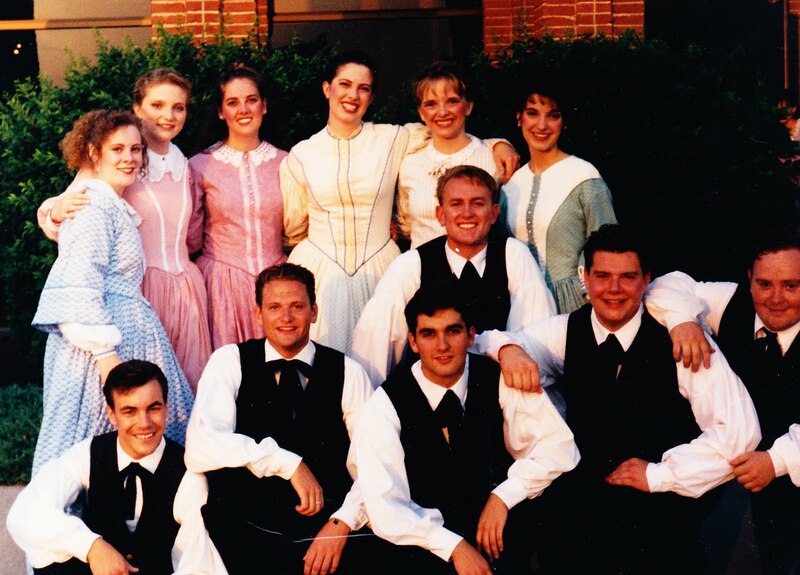 Fifteen years ago, I was on a stage at the Visitor's Center in Nauvoo, singing and dancing the stories of the early saints. I gave daily tours with my companion at the Brigham Young Home and the Jonathan Browning Home. I had never before felt such a burning testimony of the Gospel as I did walking the streets where Joseph Smith walked and dedicating every hour of my day to teaching people about the early history of my faith. A High School Graduate with big dreams and the big hair to prove it. 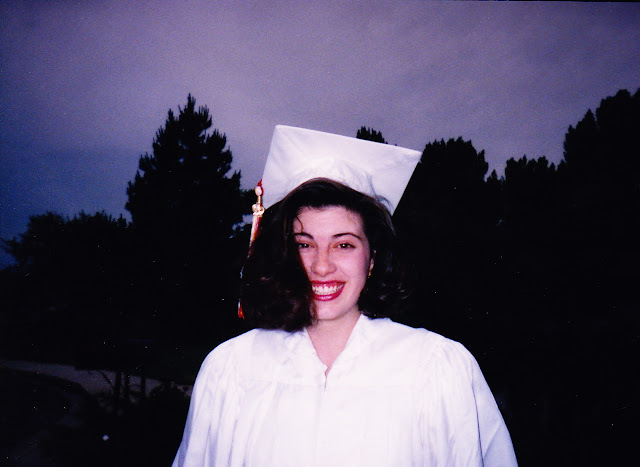 Eighteen years ago, I had just graduated from high school, sure that I was more than ready to tackle the world head-on. I eagerly looked forward to beginning classes at BYU as a music major. I thought I knew everything, but really, I had no idea just how little I actually knew. The years stretch out behind us, and each day brings a new challenge and a new opportunity to learn and grow. Which is how I came to be a 35 year old woman who still feels like she is 17, but who knows much, much more than she ever imagined she could a mere 18 years ago. Lara, I loved this post. It brought tears to my eyes. You captured the way i've been feeling lately so well. What a fantastic post. Splenda and I were just talking about this last night. Who would have thunk that once we blinked our eyes at when we got married, that so much would happen so fast. Literally it feels like a blink of an eye. What a great post! I can't believe how fast time flies. And you remain as gorgeous now as you did back then. I hate to copy what everyone else said, but it really was a great post. A great way to look back and remember what has made you who you are. Time is a crazy thing... I keep looking at my kids, thinking, "HOW did you get so old?!" I forget that as they get older, SO DO I!! It does indeed feel like just yesterday! Loved this post! It's funny to look back at pictures of yourself and remember what you were thinking and how little you knew. And it's funny to think that in 20 years from now we'll look back of pictures of ourselves now and think how little we knew back then. Mr. S is graduating from K and I'm dying inside. It's amazing how much things can change over the years, and how quickly. I'm still baffled that I just celebrated being married for 10 years, that I actually have children--and they're not babies, and I've been out of high school for 15 years. I still feel like the 17 year old trapped in a 32 year old's body, too. I love this post. You've captured my feelings exactly. I look at pics from when we first moved here, which was 3 years ago, but I can't believe the kids were so small. Time really flies. Such a fun post, Lara! I can't believe how fast life is flying by, either. Great post, all the things that I am thinking about in my own life. Love the pictures. Hope you are doing great. That's a fun post!!! That picture of you as a YPM (With Rhett and Wendi) was my favorite. I always wanted to do that... how fun. Isn't life interesting how it just flies by?? Though life does travel way too fast, isn't it fun to look back over the last 18 years and see all you have accomplished? If only time would slow down with these children we are borrowing from the Lord! I feel like I'm looking at my own life here, the timeline isn't that far off in way too many places. It's going so fast suddenly, I'm not anxious to have this baby out because it means one more mile stone passed. After this, we're out of baby making years and into baby raising. So much to think about. Good thing I've got a diet coke. I never imagined that one could be older and still feel young. But it's true, isn't it? And now that I am 46, I finally feel about 25. And I remember back when I thought 25 was old! But for me, it's more like "the more you learn, the less you know"! Awesome. And you are beautiful. You've lived such a great life so far; one great choice after another. Well done you. I feel so similarly--that I'm still 18 and everything else has changed around me (including my body!). Time is ridiculous! As your mother, I am so so grateful you have made such wonderful choices in your life. You truly are a choice daughter! What a beautiful trip through your life & accomplishments! PS: And your mom visits your blog AND comments?! Lucky!! I feel so many of these same things. I'm a 35 year old woman who feels 18 in some ways, but is very very glad to know more than I did then. Lately that song (I think it's the Eagles) has been on my mind: Time keeps on slipping, slipping, slipping, into the future . . . Your post proves it. It makes me want to open up my own albums and do something similar, so smile and take the credit if I do. What a great peek into who you are - love it! But, no picture of my old neighbor from your time in Romania??? I would kill to have a smile like that. My biggest smiles always look like I am frowning. Weird. So fun to see so many versions of you. And strange, but I too am a 17-year old, but I am stuffed into a 46-yr old body! I'm with everyone else. This was a fantastic post. It is hard to believe how quickly time goes by. I also feel like I am 17 years old inside a 43 year old body. Really LOVED this post. What a great post and a wonderful way to get to know you more fully. For the longest time I also felt 17. (That is a great age, isn't it?) Then I turned 30 and loved it. I've felt 30 ever since. Jeffrey and I just celebrated 18 years of marriage and I wonder what time warp I was caught in. Surely we just met a month or two ago? At the same time, I find myself wondering how it could only have been 18 years. Surely I knew this man when I drew my first breath? Funny how time and the heart combine. LOL the big hair. Those were the days. What a great post, Lara. I totally relate to your feeling of being a 17 year old in a 35 year old body. Very strange feeling. Time is a funny thing. I LOVE LOVE LOVE this! How fun to go back through all the pictures. It made me think about my life and what I thought my future would be. I'm sure I never imagined all of this! I've had zero time for blogging lately, but Mom had this post up on my laptop the other day...what I found was funny, is how you look the same as you did in your mission picture! I'm not kidding, Lara, you are aging fabulously! Wow, thank you for the time capsule! It's wonderful to see so many beautiful moments stretching back 18 years. Happy (belated, I'm way behind!) birthday, and here's to the next 18 years!